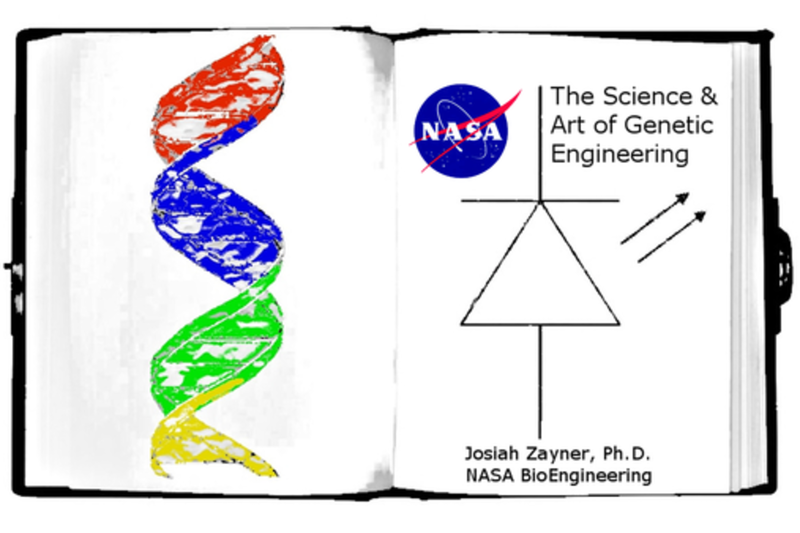 The Science of genetic and genomic engineering provides a number of amazing opportunities to create organisms for performing complex tasks that modern electronics and chemistry can only dream of. Engineered bacteria produce much of the insulin in use by diabetics while engineered plants like "Golden Rice", can save hundreds of thousands of lives each year. Even NASA is involved in research to use genetically engineered organisms for technologies to help in deep space exploration. I will attempt to answer questions such as: What is genetic engineering and how is it performed? Is it safe? How can it benefit or harm society? I will also explore technologies and art that have been and hopefully, will be created using genetic and genomic engineering. Dr. Josiah Zayner (really Dr.? yeah I know seems pretentious sorry) is a Synthetic Biology Research Fellow at NASA, attempting to develop biotechnology for deep space exploration and colonization. He received his Ph.D. from the Department of Biochemistry and Molecular Biophysics at the University of Chicago and is currently a 2014 Stochastic Labs Fellow and a 2014 Imagine Science Artist in Residence. He has a number of Scientific publications on protein engineering and is the inventor of a Biotechnological musical instrument, The Chromochord, among many other things. Josiah (this third person stuff is weird) is also the creator of The ILIAD project, a citizen Science search for natural antibiotics and the Founder and CEO of The Open Discovery Institute(ODIN), DIY Science's first store. He enjoys Whiskey and Red Bull, sometimes together.